In his book, The America We Deserve, Donald Trump wrote that he wanted Oprah as his vice-presidential candidate, At that time he was thinking about running for president for the Reform Party. It is clear from the statement below that he was not joking. He seriously wanted Oprah Winfrey as his running mate. 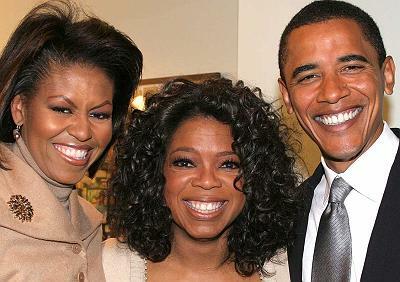 In the year 2000, maybe they could have won, but Oprah lost popularity when she supported Obama for the presidency. My star, however, seemed to the rising. In early October I announced formation of a committee to explore a run for the presidency. At that time I announced that my first choice for vice president would be Oprah Winfrey. Again the political elites chortled-Oprah Winfrey! They just don’t understand how many Americans respect and admire Oprah for her intelligence and caring. She has provided inspiration for millions of women to improve their lives, go back to school, learn to read, and take responsibility for themselves. If I can’t get Oprah, I’d like someone like her. Donald Trump, The America We Deserve, 2000, Kindle Location 3243. Trump said it again in 2015, as you see at the link below and numerous other times in public. Recently, he said that he was joking, which is not true. Oprah is not popular among Republican voters any longer. So, he has to deny that he ever wanted to make her vice president. We could have been just a heartbeat away from having a President Oprah.